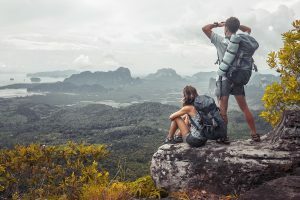 With thousands of options out there to choose from, how do you know what to look for in a waterproof backpack? Read on. Essentially, a 100% waterproof backpack should keep your belongings in the bag completely dry even on full submersion. 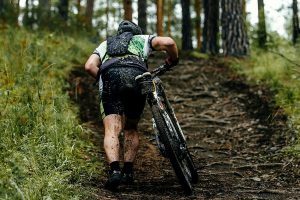 There is a distinct difference between water-resistant and waterproof material. Water-resistant bags only repel water to a certain degree, whereas waterproof bags are completely impervious to water. 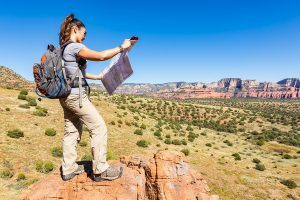 There are several factors to consider before you buy the perfect one for you; the size of the backpack is just one of them. 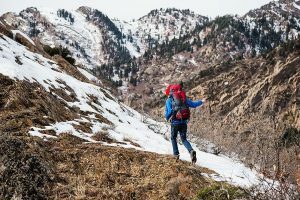 Most dry bags are just right for DSLR cameras, lenses, and your mobile phones. They are designed for adventure seekers, who carry essentials and travel rather light. However, there are models available with lots of room for everyday backpack users, for someone who perhaps rides a bike to school/work. 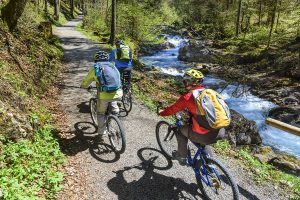 Look for materials such as PVC tarpaulin that is lab-tested to be 100% waterproof; back straps should be adjustable and ergonomically designed to provide support when carrying the bag for longer periods. With that said, if you are looking for the best waterproof backpack to keep your items safe from rain and other wet conditions check out my review of the three very best on the market. 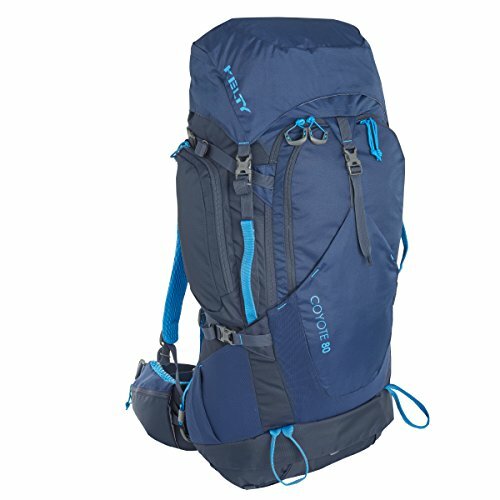 Is it a backpack or a dry bag? Well, it is both! The Chaos Ready is a backpack that is so comfortable to wear and is well-designed so you can quickly reach your things without fiddling too much. It comes in a very outdoorsy gray color that does not stain and just wipes clean. 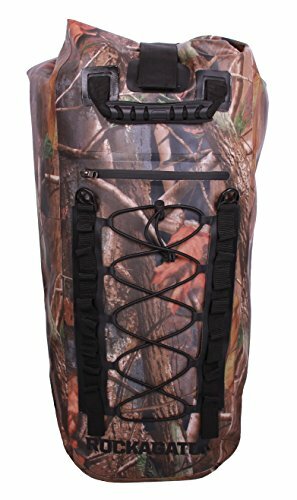 • The Chaos Ready Outdoor Gear backpack is a 22-liter heavy-duty dry bag that uses a Tri-Fold buckle system made of 500D PVC tarpaulin material and high-frequency welded seams. • Class 3 waterproof (100%) and protects from dirt, dust, sand, and, of course, water. 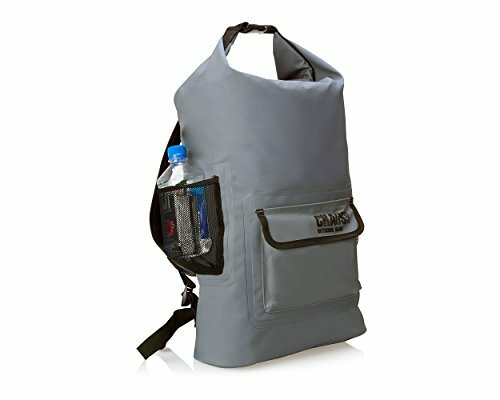 • Two mesh side pockets that can hold water bottles and other things. • There is a front pocket to put in things for easy access. • Two comfortable and adjustable shoulder straps that are padded. • The entire bag does not stain and wipes clean. • At 1 pound, is one of the lightest bags out there. Rugged yet flexible tarpaulin material used to build the entire bag. The backpack is designed for outdoor use and is very durable, yet amazingly flexible for the most demanding use. Ideal for keeping your things safe and dry at the beach, camping, fishing, surfing, hiking, sailing, rafting, canoeing, kayaking, paddle boarding, skiing, snowboarding, or if you ride your bike to work or school. Stays dry on quick submersion and floats if it falls into deep water. The mesh side pockets serve as bottle holders, thus providing more space inside the bag for other things. The Tri-Fold buckle system ensures a tight seal of the backpack and keeps all your items completely dry. The Chaos Ready Outdoor Gear backpack is one of the lightest backpacks available, which is essential for long duration travel. The seller offers a 100% money-back guarantee, and the manufacturer provides a lifetime warranty. The easy access front pocket is not a 100% waterproof. It is ideal for small plastic articles and other items you would not mind getting a little wet. There are no color options. The only available color is gray. The items stored in the backpack seem to sink to the bottom and can be hard to locate when urgently needed. If gray is your color, then go for this ultimate outdoor backpack. You can use this to carry all of your items in one bag. Plenty of space with 22-liter capacity, and easy access side pockets and a front pocket. Only the front pocket is not entirely waterproof, but nevertheless, this is a heavy-duty bag that you can trust on your travels. The 3rd generation Rockagator backpacks come with added features that are not available in their previous models. Looks stylish and comes in the following three colors: covert (black); reflect (yellow) and CAMO. New features like the carabiner loop strip to attach your gear inside for convenience with 20-Kg strap strength, removable laptop storage pouch, and the internal zip pouch that is very popular among users. With a 40-liter capacity, it can hold almost a trip worth of items, and with the elasticized bungee, the size of the bag is expandable. Construction of the bag includes high-standard welded seam technology for a 100% waterproof guarantee. The bag floats when submerged in deep water. Mesh pockets on both sides that are elastic for additional storage. Extremely comfortable padded shoulder straps that offer both lumbar and full back support. The Rockagator’s 3rd Generation backpack comes with an easy-to-carry handle on the top. Made of 600D PVC Tarpaulin waterproof material that is 100% waterproof, therefore can be used in all kinds of situations where there is a chance of the bag or contents getting wet. Additional securing system, Velcro strap over the top that comes from the back to the front to prevent the rolled and sealed opening from gaping. The internal zip pouch can safely hold mobile phones and other electronic gadgets and keep them dry, even in the wettest situations. Seller is giving 1-year limited warranty for the Rockagator’s 3rd Generation backpack. The backpack has a good shoulder, back, and lumbar support with padded straps that prevent the bag from bouncing when you move. At 3.6 pounds, the bag can be heavy when it is full; that makes it tough to carry it continuously or for long hours. The Rockagator’s 3rd Generation RG-25 is a sturdy backpack that can hold all your equipment inside. New features include an internal zip pouch and a removable storage bag. The carabiner loop strip is very useful and reduces additional carry on. The padded straps offer great comfort, and the backpack itself is ergonomically designed for better back and lumbar support. Get your hands on this very stylish answer to all your backpack prayers. The Phantom Aquatic backpack is perfect for venturing into the waters. It comes in 6 stunning colors: black; yellow; blue; red; olive; and pink. This all-weather backpack is 100% waterproof and floats when submerged in deep water. The Phantom Aquatic backpack is constructed using a unique high-frequency welded seams that offer protection of its contents from water, and also from sand, dust, and dirt. The backpack seals two ways: roll the top 3 times; secure the side buckles; and finally secure the top closure system for 100% waterproofing. Padded shoulder straps, two straps go around your frame; 1 strap set goes around your chest, and the other set is near the abdomen. This ensures a very comfy fit and the backpack does not displace when moving. 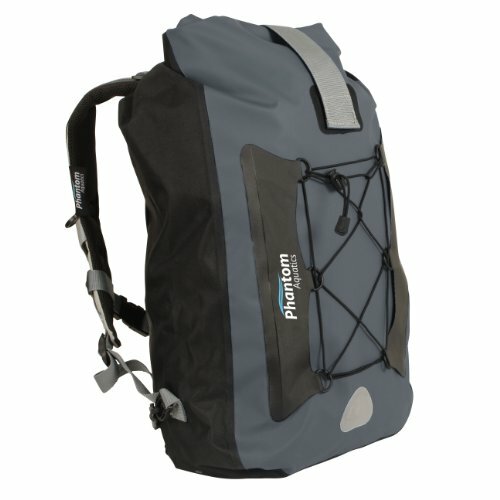 The Phantom Aquatic Walrus backpack comes with a unique back panel that has an airflow design with elastic crisscross webbing on the front for additional storage. The Phantom Aquatic Walrus backpack comes in 6 stunning colors that are ideal to purchase for the entire family. The dry bag comes with a large internal zip pocket that is perfect for storing mobile phones, GPS, watches, or cameras. The triple sealing mechanism, triple roll, side and top closures for 100% waterproofing. The front and both shoulder straps have super bright reflective patches. The backpack has padded shoulder straps, two additional sets of straps that go around the body for a super comfy fit. The top also has a carry handle that is comfortable and made of high-quality material. The Phantom Aquatic Walrus backpack is ideal for all water-related adventures or just to keep things dry at the beach. The Phantom Aquatic backpack weighs slightly heavy at 2.95 pounds in comparison to several other backpacks in this genre. The front mesh is not secured very tightly and may not be entirely suitable to carry heavy articles. There is a very tiny mesh pocket on the front of the bag, which seems to be rather useless. The triple sealing system, though very effective, is a little tedious to undo during an emergency. The insides of the bag may exhibit condensation under exposure to various weather changes. It is advised to keep silica gel packets or store cameras and lenses in anti-condensation gear. The Phantom Aquatics Walrus 25 Premium Dry Bag is easy on the eyes with six bright available colors that are perfect to purchase for the entire family. The manufacturer recommends the backpack to be used for all types of water-related activities. Triple-seal technology offers 100% waterproofing of the bag. There are several storage pockets, and the bag packs a lot. The backpack fits ergonomically to the body and is ideal for light usage. 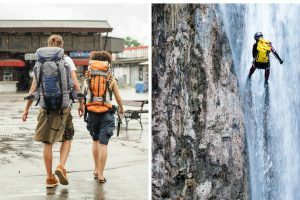 ZOMAKE Waterproof Ultra Lightweight Packable Backpack Review Water-Resistant vs. Waterproof Hiking Backpack – What to Choose?